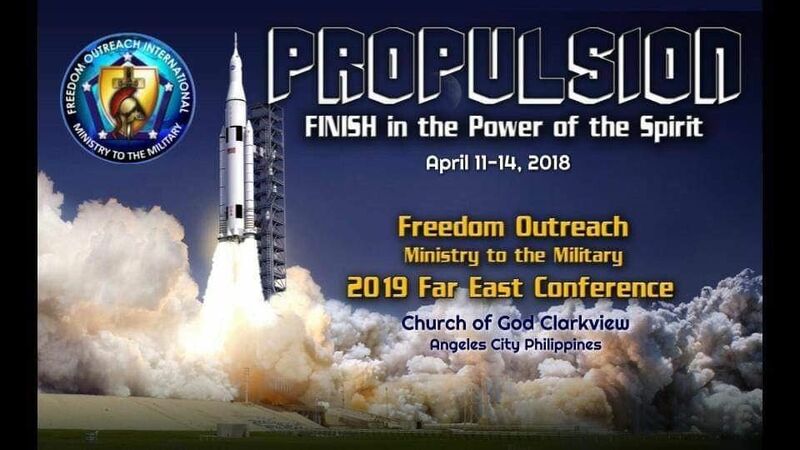 Freedom Outreach International, a ministry to the military, is holding our annual Far East Spring Conference, hosted by COG Clarkview Christian Center located in Angeles CIty in Philippines. 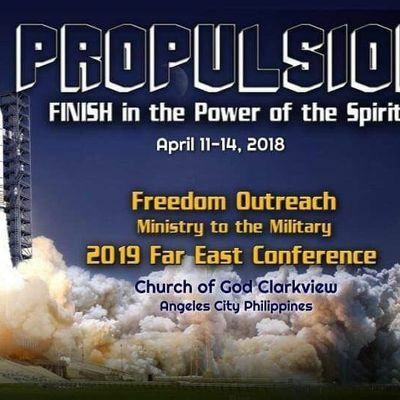 Location: Clarkview Christian Center (Church of God), 377 Santol Road Clarkview, Angeles, 2009 Pampanga, Philippines. Local Delegates: Please register here by clicking the green "tickets" button and entering the code "CLARKVIEW" before selecting your tickets. You will pay directly to the Clarkview CC office and not on this site. LUNCH: This is not provided as part of the conference. A meal will be held at a local restaurant (location to be announced at the conference) with each individual/family responsible for payment of their own meals. Nursery & Children’s Church provided as indicated on the conference program. *Name Badges are your security passes and are required as entrance for all sessions. MEAL OPTIONS: Directors banquet (Directors and approved guests only) Thursday evening (included with your registration); Lunch on Friday and Saturday by pre-purchased meal ticket; Dinner is on your own. LODGING OPTIONS -- attendees must make their own reservations (Directors, The cost of lodging is NOT included in the conference price. Marriot https://www.marriott.com (Directors: you will receive a discounted rate by selecting the Special Rate on the Marriott.com website of "Government/Military" but must show your military ID when checking in. TRANSPORTATION: International delegates -- if you require transportation assistance once in country, please contact Conference Coordinator with questions. A shuttle for the Directors to and from their hotel to the event will be provided.